There are many people who want to settle in the developed countries like Canada, Australia, New Zealand, USA etc. A large number of students want to pursue higher studies in these developed countries. If you are one of these people, you have to clear the IELTS exam which tests your command over the English language. 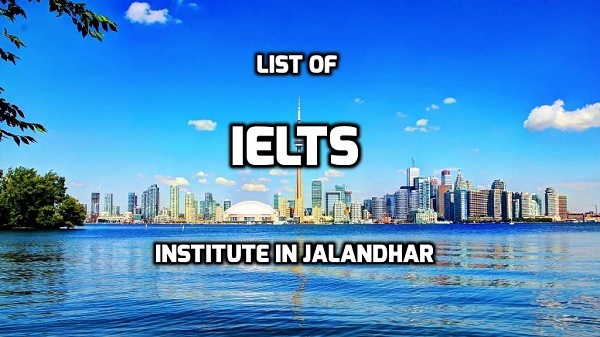 To prepare for the this exam, we have compiled a list of IELTS institutes in Jalandhar. The list of IELTS coaching centers in Jalandhar is given in the alphabetical order. Some people ask me about the best IELTS institute in Jalandhar, so I ask them to contact their friends who have earlier prepared for this exam and get references from them. For the outside students, it is easier to study at an institute located near bus stand, so this list also includes IELTS Coaching Centre in Jalandhar Near Bus Stand. Before you join any of these institutes, please verify the information given on this page from other sources and do the complete enquiry by personally visiting the institute and ask for the demo classes (if any) before paying any fees. RS Global Immigration provides immigration services and visa consultancy for Australia and Canada. It also provides IELTS and PTE coaching. Achievers Academy provide coaching for IELTS and other english language exams like PTE and TOEFL and also provide english speaking classes. It has main office in Jalandhar city and another branch at Adampur. Milestone Education Group provides coaching for IELTS, PTE, TOEFL and also offers english speaking classes. Times Academy provide coaching for IELTS and other english language exams like PTE and TOEFL and also provide english speaking classes. According to the facebook page of this institute, the institute has IDP certified teacher with 9 bands in listening and reading. This institutes provides coaching for IELTS and also provide training for many other foreign languages like French, Italian, German, Spanish etc. The institute also has a branch in Ludhiana. This institute mainly provides the coaching of IBPS and other competitive exams and also provides good coaching for IELTS exam. It was established in 2009 and have braches in many other cities of India. Address - Punjab Air Tower, SCO-117-118, Puda Pocket 2, Opp. Bus Stand Gate No.3, Jalandhar-144001. This coaching center has main office in Chandigarh and branches in many cities of Punjab, including Jalandhar. Address - #739, Mota Singh Nagar, Jalandhar. Sareen Lingua World is an IELTS Institute based in Jalandhar, run by Satish Sareen, an Expert in IELTS,generating spectacular 8.5 Band result at nominal fee. This is one of the many institutes for IELTS training in Jalandhar. On their website, you can get a lot of valuable information about the IELTS exam.